The perfect work glove for when high levels of dexterity are required. Manufactured with a 0.5mm AX-Suede™ palm material that is designed to fit the natural curves of your hand and utilising three-dimensional patterning to improve overall dexterity. It also Features flexible finger joints with stitch darts to improve mobility and TrekDry Fabric that prevents sweaty hands and keeps them comfortable. The thermal Plastic Rubber (TPR) and Velcro style closure provides a secure fit. The nylon pull loop aids quick fitting and removal as well as a way of attaching gloves to other equipment when not in use. Sizes available - S, M, L, XL and XXL. 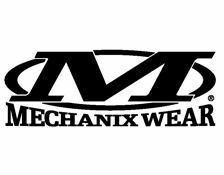 Additional sizing information is provided by clicking the Mechanix logo below. Weight - 62 grams. Colour - Black.